Sudden love. Sudden joy. Suddenly It’s Magic. Who would know that moving on and forgetting someone who once made your life changed and your heart be broken into pieces gonna be this easy and fast? Well, here’s another romantic comedy Filipino-Thai movie Suddenly It’s Magic bringing you lots of love after a heart break. 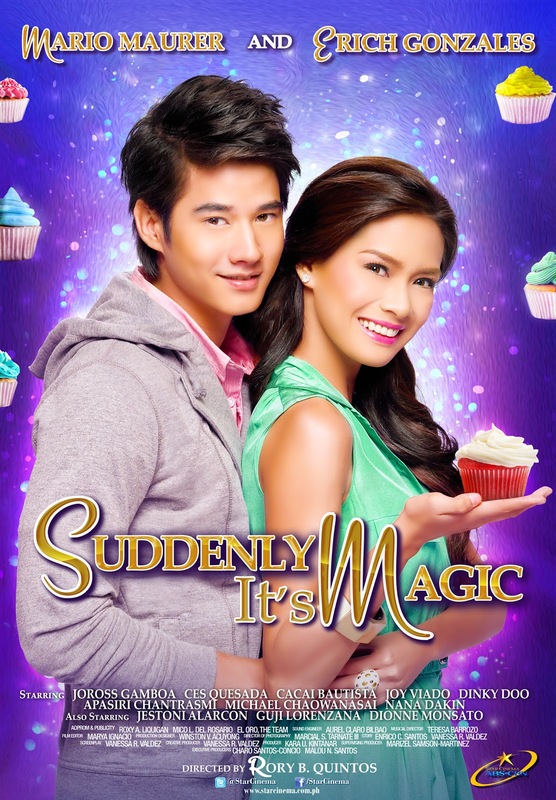 Suddenly It’s Magic is starred by Marcus Hanson (Mario Maurer) and Josephine ‘Joey’ Hermosa (Erich Gonzales). The film is produced by Star Cinema and was released last October 31, 2012. Suddenly It’s Magic focuses on the story of two young broken hearts escaping and trying to mend the pain and disappointment left by their lovers. (Mario Maurer) plays the role Marcus Hanson, a Thai superstar who left his busy and soaring career to find his self after his on-screen partner and true-to-life girlfriend left him and choose another man. He was too hurt, so he decided to take a vacation in the Philippines. Marcus Hanson (Mario Maurer) meets a delicate baker from Paoay, Ilocos named Joey Hermosa (Erich Gonzales). 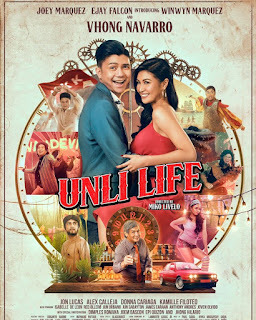 Joey (Erich Gonzales) met this broken-hearted guy and is undergoing the same stage of difficulty which is moving on and forgetting the bitter past. Joey was just recently forsaken by his lover on the day of their wedding. This two will both find love again as they least expect it. Who would really know? However, their love story has lots of hindrances to pass on. Marcus’ (Mario Maurer) fans were against Joey (Erich Gonzales) because they wanted him be just for his ex-girlfriend and also his overprotective mother was disagreeing. Their feelings grew stronger and bolder despite of all those contradictions. Marcus invited Joey to Bangkok but she refused at the first time and eventually got convinced. She followed Marcus and totally opens her heart to be truly and happily in love again. However, Joey’s responsibilities are waiting in the Philippines and she needs to come home. Marcus (Mario Maurer) got a chance to be in Hollywood. He remembered the girl who made him healed in the times he was totally busted. He went back to the Philippines and made a romantic scene for Joey (Erich Gonzales) showing his love. Sudden! Love really comes in a sudden! Other Suddenly It’s Magic casts includes Baifern Pimchanok as Sririta Taylor, Joross Gamboa as Sam, Cacai Bautista as Marj, Guji Lorenzana as Marvin, John Lee as Mtri, Ces Quesada, Dinkee Doo, Jestoni Alarcon, Dionne Monsanto. Again, Suddenly It’s Magic. Experience heartbreak and be totally inspired. Be catch by this one true healing love. Life is not easy. To love is not easy. But suddenly, love will still make a way, because love has a magic. Rush! Watch Suddenly It’s Magic on theaters nationwide. See you there.